Anvi Smart Defender — новый антивирус с движком Smart-Engine, защищающий систему в режиме реального времени. Имеет технологию облачного сканирования, проводит анализ поведения угроз, с возможностью оптимизировать компьютер. Защищает от таких вредоносных программ, как вирусы, трояны, интернет-черви, боты и других. Detect and Protect with Smart Defender. When malware becomes more difficult to detect and even harder to remove, Anvisoft researches and develops an anti-malware program with innovative technology --- Anvi Smart Defender is designed to seek out, destroy, and prevent malware. 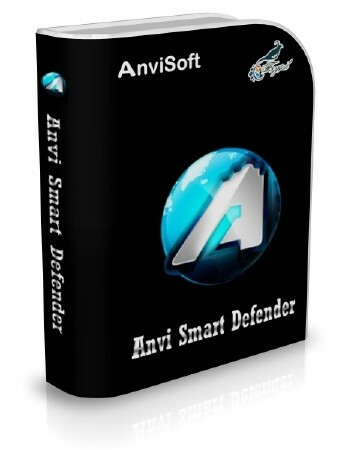 Anvi Smart Defender Pro is an easy-to-use and lightweight detection and prevention program, which can monitor every process and stop malicious processes in the background before they even start. The Guard Module gives your PC powerful protection, and the Cloud Scan Engine provides you a smart way for PC security.